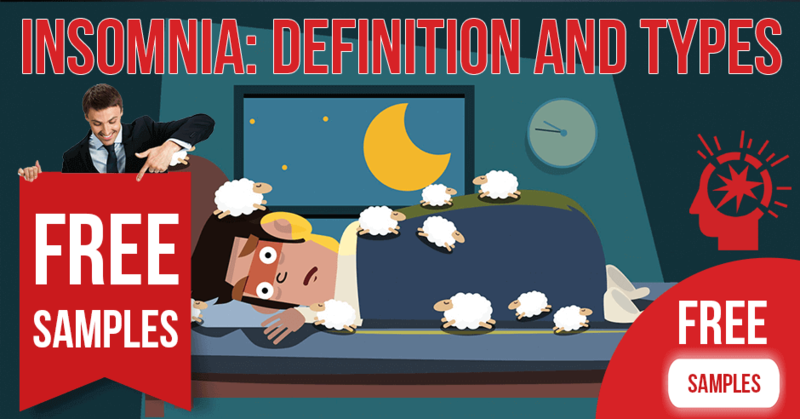 Getting a grip on a definition for insomnia may be more difficult than it seems at first, and knowing what to do when you have it is even more of a challenge. If you find yourself waking up in the middle of the night or having a psychophysiological response to night time stimuli, then learning all you can about narcolepsy and insomnia should be a top priority. It is difficult to measure for sure how many people have a good night of sleep every night, but among the medical community it is widely accepted that rest is a key factor in a balanced psychology. Sleep allows us to process the information gathered throughout the day, and recharge our neurons for the waking hours ahead. 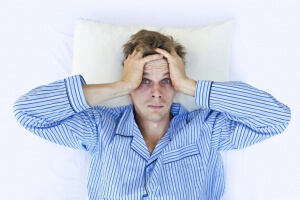 Insomnia can be defined as a clinical history of sleeplessness or chronic trouble staying asleep. If you have recently gone 3 days without sleep, find yourself thinking too much before bed, or waking up every hour during the night, you may suffer from acute or mild types of this mental disorder. Historically sleep problems have been a private affair in women and in men, inspiring many theories about the effects of sleep deprivation on the mind. 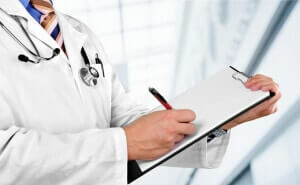 However today, it is even harder to know when to see a doctor as the bad effects of the malady are often overlooked, in order to catch up on work or stay out partying. Insomnia is often associated with a variety of different feelings, including racing thoughts, depression, anxiety, and more. It depends largely on the individual and the type of insomnia experienced. See the descriptions below for information on the various forms. Until recently, insomnia was not thought to be genetic, however researchers are discovering otherwise. Recent studies indicate a genetic link to insomnia, which may explain the cause for millions across the world. Ultimately, insomnia cannot kill you directly. However it can still pose a life threatening risk, as the complications associated with the disorder can cause health problems, or trouble operating heavy machinery. See the chart below for age-related insomnia statistics. There are two types of insomnia that are important to understand. Understanding the difference between primary vs secondary is important to getting effective treatment. Primary insomnia is a distinct sleep disorder whose effects are not yet fully understood by doctors. It is characterized by an organic inability to sleep, not caused by drugs or other substances that can lead to sleep troubles. The reverse of primary insomnia is secondary insomnia, a more straightforward diagnosis although it is just as dangerous. It is caused by various medications and substances that can interfere with sleep patterns. Chronic insomnia is when a person has trouble sleeping over a long period of time. As you might expect, getting help for this condition should be prioritized, as it can lead to serious complications, especially in elderly individuals. This unique condition is often encountered as people visit a sleep clinic reporting trouble sleeping, but who actually receive a full night’s sleep. Understanding this misperception and discovering exactly why do people suffer from this disorder remains out of researchers’ grasps for now, but can usually be treated with therapy. Also known as narcolepsy, this sleep disorder can be especially dangerous and can even lead to death, if experienced while operating heavy machinery or vehicles. 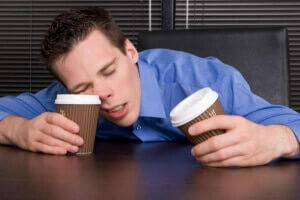 Essentially, it is a constant feeling of tiredness, that can attack at any hour of the day. It is especially common in middle age or old age. Transient insomnia is about experiencing sleeplessness over the short term. While still serious, it can often be cleared up with a prescription sleep aid taken on the side of regular meals. This form of the disorder is characterized by early morning wakefulness. Have you found yourself wide awake on a Sunday morning, without any reason to be up? If so, you have experienced terminal form insomnia. Many individuals wonder “what is seasonal affective disorder?” It is such a common term today, however the meaning remains unclear to many. Put simply, it is chronic depression associated with a lack of sunlight during winter months. Also known as hypersomnia, those experiencing this disorder will feel like sleeping most hours of the day. If you are wondering can you have hypersomnia and insomnia at the same time? Then the answer is yes. In fact, such sleep disorders often occur in pairs, causing patients to lack sleep at night, and oversleep during the day. Acute type insomnia is sleeplessness that occurs over the short term, and is usually cleared up within a matter of days or weeks. Those wondering what to take need only look to their online pharmacy for mild sleep agents. Mild insomnia only affects individuals less than 50% of nights and poses less of a risk than the chronic form. However, mild sleep disorders can often develop into more serious ones, and should be treated promptly. research shows that insomnia can be genetic. Many people wonder “can you die from insomnia?” Luckily insomnia itself cannot kill you. However it can pose serious health risks, that lead to life-threatening complications. If you have not had sleep for more than two nights in a row, or if your lack of sleep is affecting your life as a whole, make an appointment with your doctor. How to Tell Someone That You Have Insomnia? Knowing how to tell if you have insomnia is a challenge in itself, but telling those around you can be as big of a struggle. Often, what helps is linking to an informative article or summary that can outline all of the major facts and issues associated with the disorder.